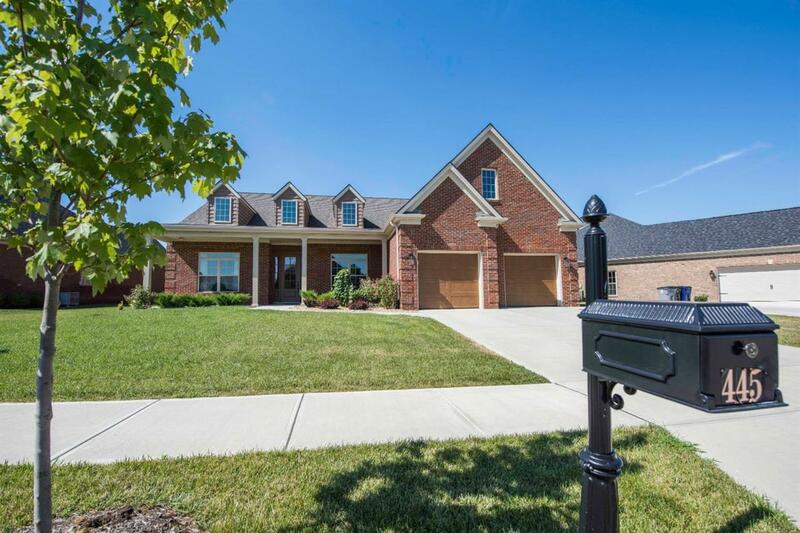 445 Weston Park, Lexington, KY 40515 (MLS #1816543) :: Sarahsold Inc. 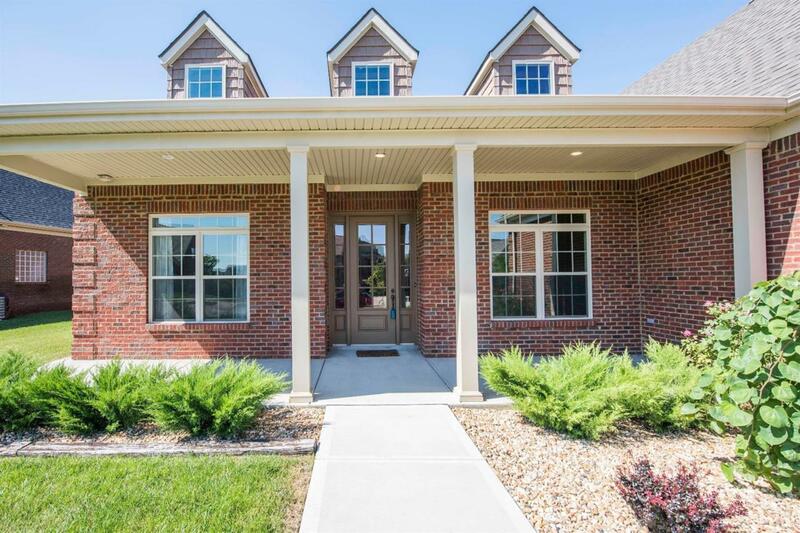 Located in pristine Ellerslie at Delong, you will love the convenient location close to I-75 and Jacobson Park! This like new ranch home with open floor plan features 10ft. 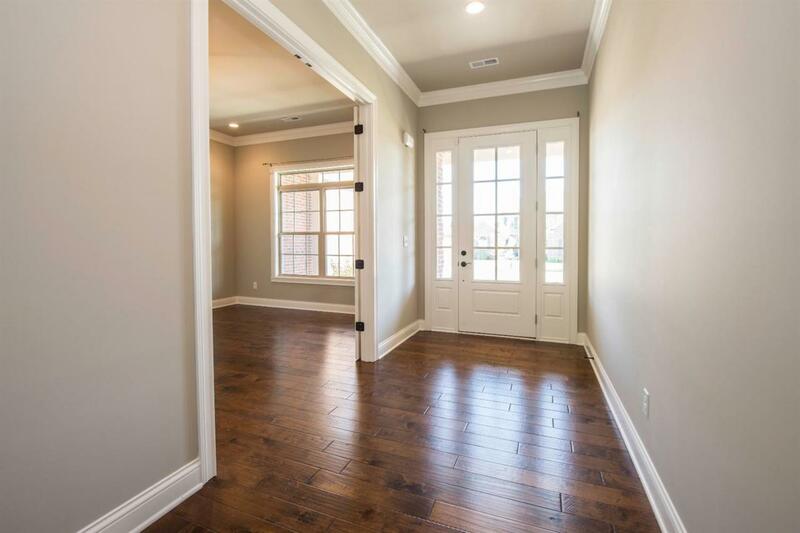 ceilings throughout, detailed moldings, and solid 8ft interior doors. Master Suite is very spacious with an ensuite bath equipped with free-standing soaking tub, dual vanities, walk-in shower with frameless glass door, plus a large walk-in closet with custom shelves and hanging racks. Kitchen with granite counters, stainless appliaces,loads of cabinetry and center island is open to the great room with a beautiful fireplace with floor to ceiling stacked stone and rustic wood mantel, flanked by custom bookshelves. Relax on the covered patio overlooking a grove of trees and green space! 2 additional bedrooms with large closets share a full bath. Dining room or office, whichever you prefer, has 2 sets of French doors, offering maximum privacy. Bonus room over garage perfect for storage or an additional TV room. 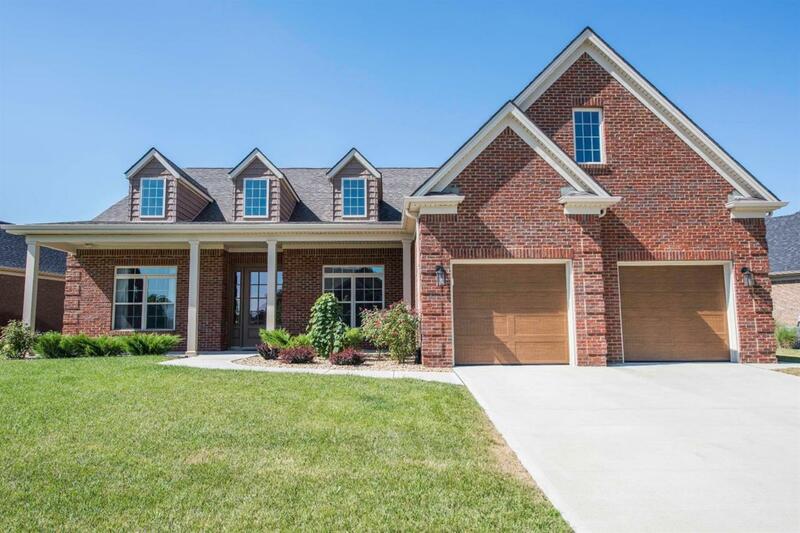 Listing provided courtesy of Emily Miller of Bluegrass Sotheby's International Realty. Listing information © 2019 LBAR Multiple Listing Service. All rights reserved.